Hello everyone I really cant figure out these questions I got for a homework finished with 90% of it just cant crack these few questions. 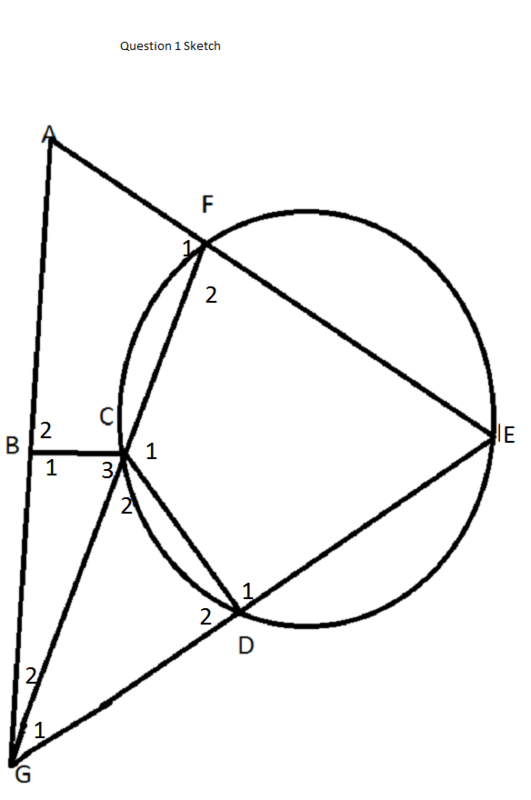 The diameter AG is produced to C.EC is a tangent to the circle at D,A,D,G and F lie on the circle and DC=B.AFB is a straight line and A1=x and ADCB is a cyclic quadrilateral. 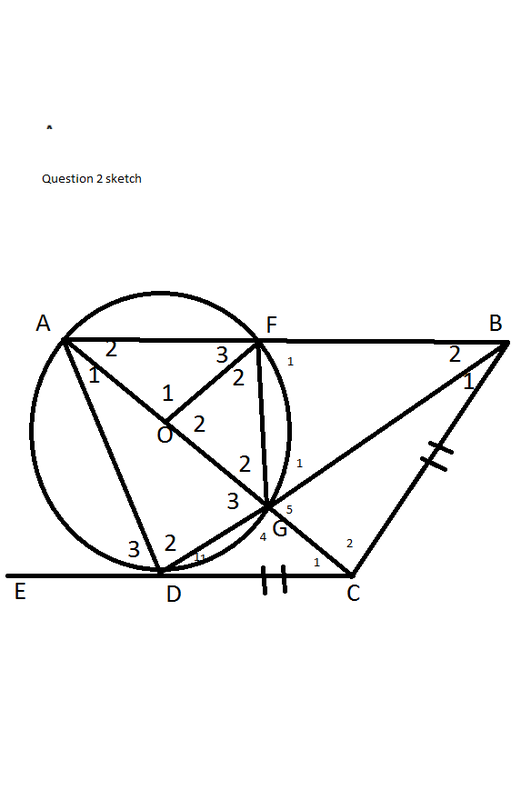 2.6)For what value of x will DC be a tangent to the circle through F,B,C and G? Any kind of help will be much appreciated!